With the much publicized early 2011 season-ending injury to San Francisco Giants catcher Buster Posey and the similar fate suffered in 2010 to Indians backstop Carlos Santana after plummeting collisions at the plate, Cleveland had every right to be concerned about Chen’s safety. In fact, Chun-Hsiu Chen’s imminent rise to join the ranks in the Major Leagues is a form of protection for Cleveland Indians everyday catcher Carlos Santana, who also saw his share of appearances as designated hitter and first baseman this past season. Promoting Chen as Santana’s backup and MLB teammate would increase the longevity of both players over the course of their careers. Signed by the Indians as a high-profile free agent in September 2007, Chen was originally a third baseman and pitcher in Taiwan. Converted to a catcher for his powerful arm since then, Chun-Hsiu Chen quickly took to the position as demonstrated by his 37% success rate in throwing out potential base stealers in 2010. Ascending up the Single-A/Advanced ranks with an impressive .315 batting average, Chen fast became a breakout player in the Cleveland organization and finished second in batting in the Indians farm system. 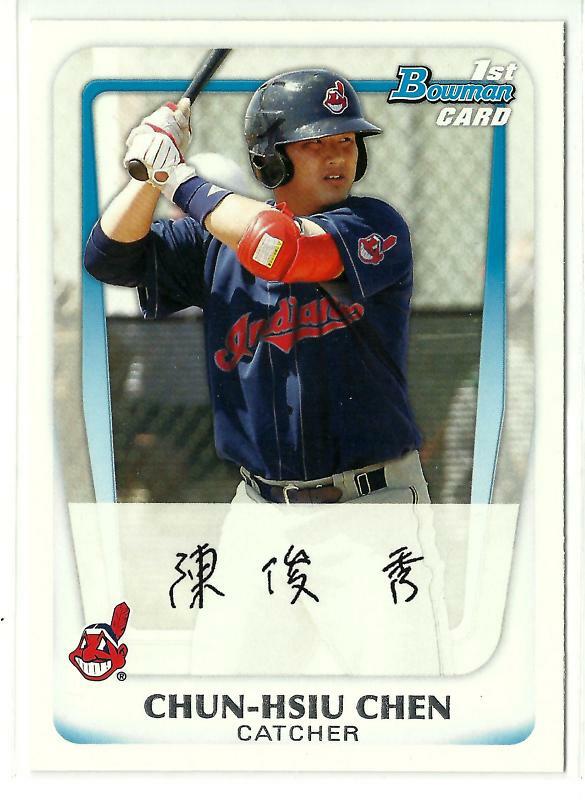 Named to the 2010 Futures All-Star Game, Chun-Hsiu Chen was promoted to Double-A Akron in 2011. Driving in 70 runs and setting a record for an Indians catcher with his 16 home runs, Chen racked up enough power numbers to be selected to represent the West Division in the 2011 Eastern League All-Star Game. Recently chosen as Indians Prospect Insider.com Hitter of the Year, one could certainly make a case for Chen’s immediate promotion to AAA Columbus next year. However, should Chun-Hsiu Chen continue to pulverize Minor League pitching, it won’t be too long before we see him calling games for the likes of Ubaldo Jimenez and Justin Masterson at Progressive Field in Cleveland. Cleveland Indians fans rejoice… Chun-Hsiu Chen has got Carlos Santana’s back! I have heard really good things, about chen in particular. Great coverage Roberto on the Asian Allstar series. China has great potential to provide talent not only to the Indians but to the rest of MLB. Let’s see how that talent develops over next decade to match what is coming out of Taiwan, Japan, and Korea. Great stuff. Chen may not be considered a JEWEL BA TOP 50 TYPE Prospect but he certainly would be of great interest to many organizations. Hope the Indians take their time with him.